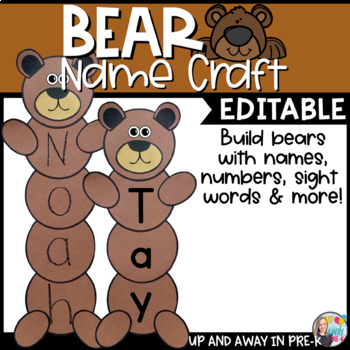 This Bear Name Craft is great for name writing and name building skills! Students get one circle per letter of their name, then cut and glue their bear together. You'll need two shades of brown for this craft (I used a medium and tan). Eyeball stickers are from Lakeshore Learning Store.